Step 1 In a small bowl, combine the ricotta, honey, and cashews. Step 2 Place ¼ cup of the ricotta mixture and ¾ cup strawberries in each of four resealable containers. Step 3 Store the honey ricotta in the same or separate resealable containers for up to 5 days in the refrigerator. 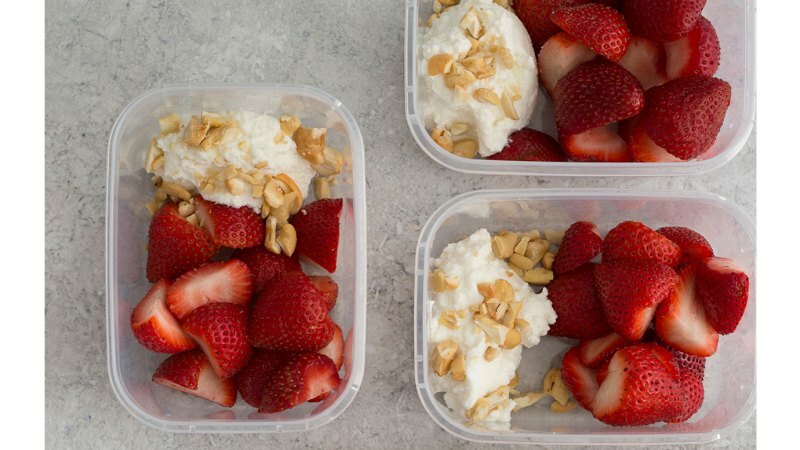 You can neatly package this simple snack into meal-prep containers Opens a New Window. , so you can easily grab it after your workouts throughout the week. Its combo of protein and carbs will help you repair muscle and replenish energy stores.